It is an honor to serve on the board of a company, organization, or school. But with this honor comes responsibility. A board is a legal entity. While it operates in the realm of professional, there is the added dimension of fiduciary and legal responsibilities. If you have been asked to serve on a board, it is because you exhibit professionalism and have a unique perspective to bring to the table. This level of service brings with it a formality that isn't common in other conference rooms. Board meeting etiquette is, many times, determined by the tradition and culture of the organization represented. Members are expected to always be prepared, punctual, and polite - this is the basis for any meeting. But higher expectations tend to exist for members of boards. Board meeting formats vary from the typical business meeting. A Chairman of the Board presides over the meeting and is primarily responsible for meeting agenda preparation well ahead of time, for directing business, and for conducting the meeting based on a system of protocol. Many boards follow Robert's Rules of Order for their meetings, a guideline for order and efficiency written by General Henry M. Robert. Those following a traditional approach to their meetings may follow Robert's Rules more strictly than boards who keep a more relaxed approach. This varies depending on whether the board governs a company, firm, foundation, or university. Regardless of a formal or relaxed approach, board meetings are structured to respect the time of those attending. Meetings are expected to start and end at the time given. Topics are often chosen in order of importance and side conversations discouraged so that discussion can be completed in a timely manner. Everyone’s input is important, so keep time in mind. For new board members to contribute appropriately, Chapman University President, Daniele Struppa, recommends reviewing the most recent strategic plan of the institution. This helps identify areas of expertise that you might rely upon to contribute to the discussion. However, you should also keep questions and comments during a meeting focused and on point. Rob Arnott, Chairman, Research Affiliates, suggests two important qualities that board members should possess: curiosity and independent thinking. "Whether you are an internal or independent board member, your value to the organization hinges on thinking independently. A board of like-thinking people will be of considerably less value to an organization than a board with individuals who represent diverse backgrounds, educations and viewpoints, who can explore their divergent views with mutual respect, and without rigidity." On curiosity, Mr. Arnott says, "A board member should be curious and open to new ideas, not hamstrung by hubris or turf. To the extent that the board oversees management, they should be alert to whether the top management team exhibits curiosity or defensiveness. It’s hard to be curious, if you’re defensive, and vice versa. A culture of blame, blame deflection, and defensiveness, can ruin an organization. That culture comes from the top." Helping newer members understand the necessity to assess the atmosphere and situation and act accordingly, rather than rush in, is important. Experienced board members teach new ones the ropes, not only to assist the new member, but to protect the interests of the entire board. President Struppa encourages, "New board members should make an effort to familiarize themselves with as many other members as possible. Attending social events, and participating on board and committee meetings is a very helpful way to ensure that a new board member becomes part of the fabric of the institution. Another important thing for a new board member is to establish a relationship with the leadership team (the President and the senior vice-presidents)." Members should also know what is expected of them when presenting information as part of the meeting agenda. If you have questions about the meeting, phone the Chairman well beforehand. Your preparation is a nice contribution to the efficiency and productivity of the meeting. Make sure you know the specific rules of etiquette for your particular board. New board members should be willing to learn these, and all board members should be willing to observe them. Lastly, board members should recognize that many non-board staff members have been involved in your meeting preparations. All of these contributors should be treated with respect and courtesy. There is much "behind the scenes" effort provided to achieve successful board meetings. A board is multiple minds speaking with one voice. 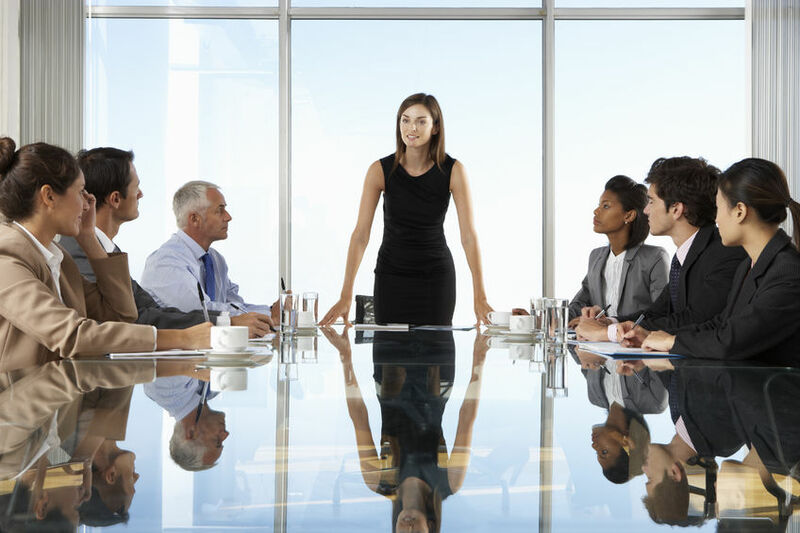 In addition to the individual meeting organization rules for a board, there are general board meeting etiquette rules. “Don’t read email or text during the meetings,” states Ms. Kaplan. Mobile devices are not to be placed on the conference table or checked during meetings. In fact, it is best to turn them off and put them away. When you are recognized, acknowledge the Chair and other members. Do not interrupt one another during the meeting. Be calm and patient. Remember that diversity of opinion is good for a board. Never talk about board business outside of the boardroom! Thank the Chairman for conducting the meeting and other people who’ve obviously helped put the meeting together. Being selected to serve on a board of directors or trustees is truly an honor. Acknowledging this honor with your efforts to make the organization you serve a better one is your duty. 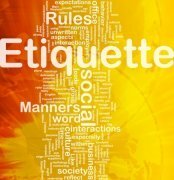 Using board meeting etiquette to efficiently and respectfully fulfill this obligation will set a tradition of right action and integrity for the board on which you serve.